you’ve probably heard by now that nordstrom’s anniversary sale is already underway for cardholders, and it opens to the public this friday. I’ve been able to shop the early access because I do have a nordstrom debit card. because there are so many things included in this sale, it’s easy to get lost and overwhelmed with the selection from the get-go. because this sale happens at roughly the same time every year (mid-july to early august), I try to do a cleaning out of my closet before, both to do some necessary cleaning & organizing, as well as to see what my closet needs for the upcoming season. 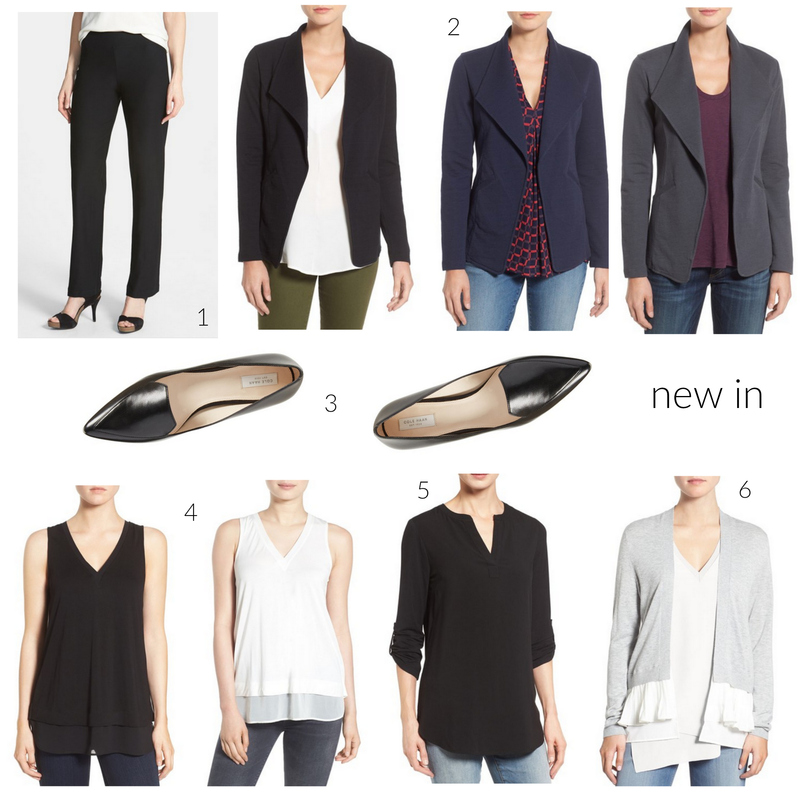 the best part of the #nsale for me is that it’s on fall/winter clothing, for multiple reasons. one, f/w clothing tends to be more expensive because of the materials used and how much of it – think wool, thick cotton, etc. secondly, the fall & winter start early and last forever in chicago. except for the warm days of deep summer, my colder weather clothing items are constantly in use from september to march (and even into june with the lighter, more versatile pieces). knowing that these will be hardworking pieces in my closet, I’m ok with spending a little bit more money on individual pieces than I normally would. for this year’s sale, I knew right away what I needed: some dressier separates that would work well for my psych clinical rotation this fall. instead of our usual scrubs, we’ll be expected to dress in business casual attire while we’re on the floor. 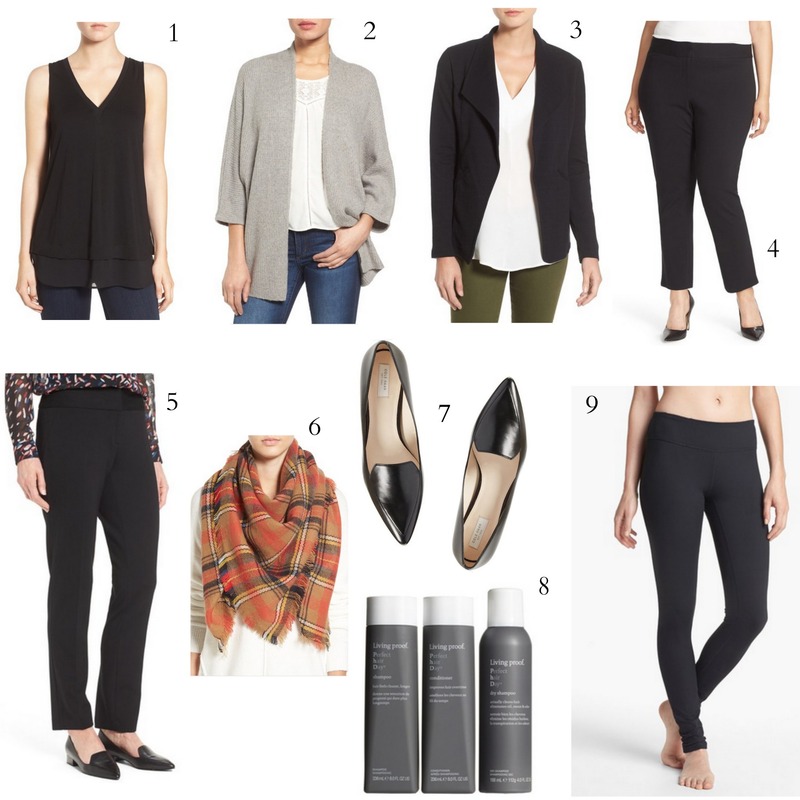 I’m desperately in need of some basic dress pants, so I ordered #4 and am eyeing #5 as well. I also needed a pair of dressy flats that were comfortable & practical enough for a hospital setting, but also had some things going for it in the style department. 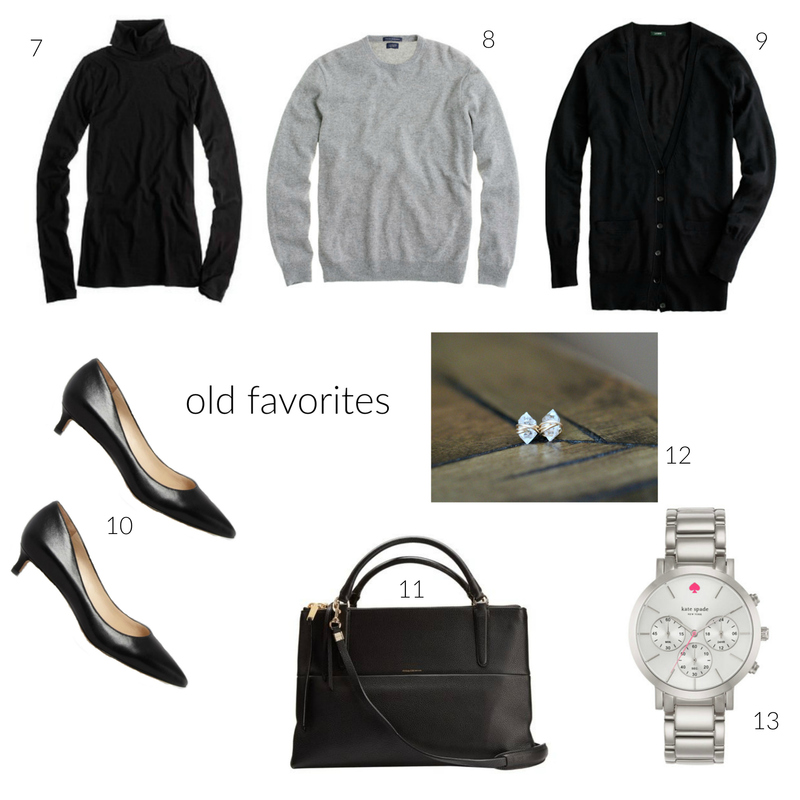 these ticked off all of those boxes (bonus that they look like the pair of flats the model is wearing in #5!). I can’t wait to try them on – cross fingers they fit! I also needed to pick up some dressier tops. I selected pieces that could be layered, such as a sleeveless shell & an open cardigan (bought it in cream, which looks to be sold out). I’ve talked before about how blazers don’t really work for me. I’ve found better luck over the years with clean, streamlined knit pieces that function like a blazer but are more accommodating and comfortable. I’m eyeing this piece, too – I know, I know, I just told you how blazers don’t work for me and then I tell you I’m eyeing one…but I was intrigued by the open front & knit material. if it works out, it would be a slightly more structured option than the cardigan but still with some give because of the fabric. I’m hoping it will stick around a little bit so I can try on the 4 pieces I ordered to see if they work out first. the last three things are purely in the “want” category. the scarf would be perfect for fall, and it’s really tempting me even though I really don’t need another one. I tried out a free sample set of the living proof shampoo & conditioner I received with a sephora order, and they really helped keep my hair smooth and in control and not oily. I’m just about finished with the samples but have been eking out every last squeeze because I wasn’t thrilled about the price. this set is a good deal & will lessen the sting some. the shampoo & conditioner alone would be $50, so I’d be getting those + a full-size dry shampoo for $5 less. and lastly, I’ve been meaning to give these leggings a try as they’ve gotten rave reviews. my current pair of lounge leggings have seen better days, and these may be a good replacement. are there any pieces you’ve picked up or currently eyeing from the #nsale?